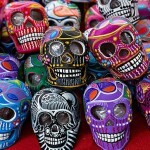 Home / seasons / Day of the Dead and its Monday too! OK it is 7:30 on a Monday night and it is the Monday evening blah. It has been a rainy rainy Monday and I wore comfy clothes to work- jeans, sneakers and a sweater which helped. And it was already dark at 6pm. Work was OK but was glad when 5PM hit and I could head home. I went online and since Google is my default page for the internet they had some skeletons hanging around spelling Google. I clicked on it and discovered that today is the celebration of the Day of the Dead. Now, how cool is that? The image above was one I found that is actually a shot from the new 007 movie. This would be a unique place to be on this day if real. 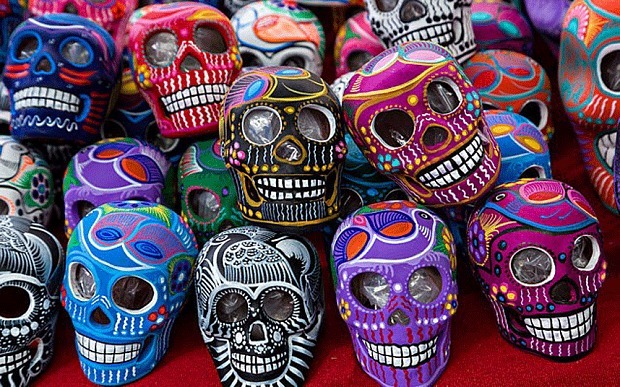 Dia de los Muertos, the Day of the Dead is one of the most famous Mexican Celebrations. The images of this holiday are skulls and skeletons. Skulls abound and are are something my granddaughter loves. 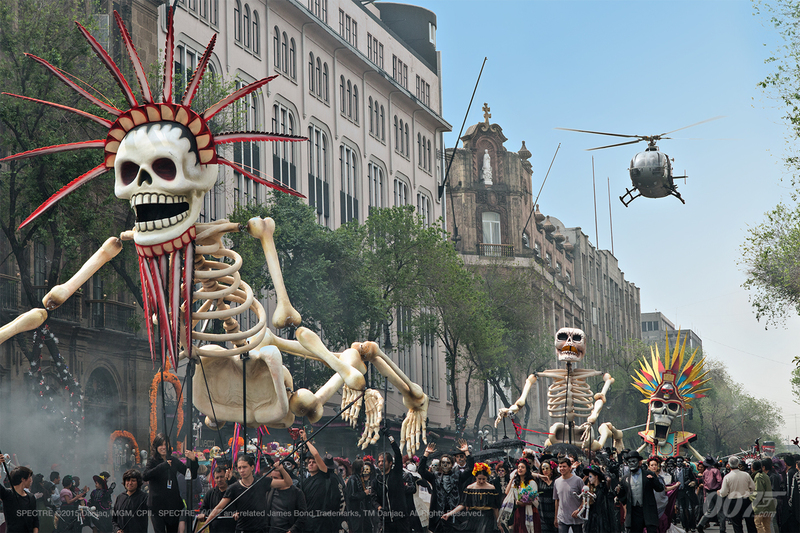 This Day of the Dead was never thought to be a time of mourning but is really a time to remember and honor one’s ancestors and most importantly to celebrate them. It amazes me that whether from South America, Mexico to England and the Celts and to Europe and the Catholic Church that this time of year resonates with so many people as a time to honor their ancestors and those that have passed on. This darkening time of the year is a time to pause and to be a time to remember our roots and from whom we come from. It is very synchronistic that the world seems to be in tune at this time of year in remembrance of those who have died. How are you celebrating this time and those individuals and family who have passed on and left an impression on you and your life?